Kirkas säilytystaskukinofilmille. 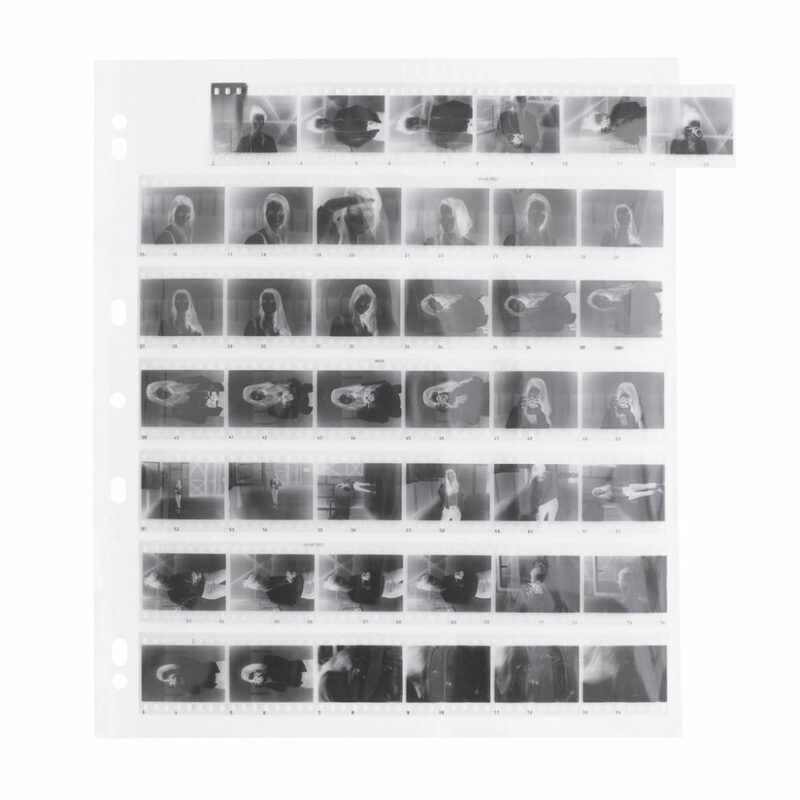 ADOFILE Polypropylee Negative Pages Clear pages for archiving, viewing, and contact printing. ADOFILE Negative file pages are made of high-grade polypropylene. They are 1-2cm oversized, so that a stip of 6 negatives fits completely into the sleeve without any overhang. The pages fit in both 3 ring an 4 ring binders. Both ends of the negative sleeves are open, allowing for air exchange. The polypropylene is absolutely chemically neutral and archive-safe. Polypropylene files are more stable than those made from acetate and thus easier to load. The slight difference in thickness leads to a theoretical lower resolution of a contact print through the file though (compared to the thinner acetate sleeves).